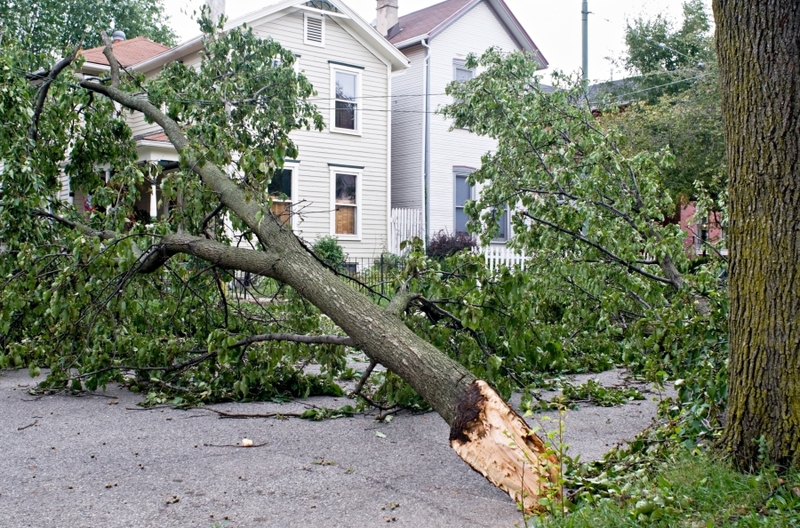 Chicagoland Storm Damage Services - Learn More | J&S Tree Service, Inc.
Storm damage comes in many different forms, such as tornadoes, ice, strong winds, flooding, lightning, etc. For safety reasons, damage assessment should not begin until daylight or an official all-clear signal has been issued. Do not attempt to assess the damage in the dark. In the case of an emergency, such as a tree falling on a roof, get to a known safe area immediately. J & S Tree Service offers 24-hour emergency service. When it comes to the safety of you and your family, you never want to push tree damage to the side. Unable to protect your trees from Mother Nature, they often wind up being right in the center of a storm’s course. Storms, both big and small, can greatly affect your trees whether it be from a tornado, strong winds, lightning, ice, or flooding. Weather storms are capable and may have uprooted a nearby tree or broke a few branches, and in those instances, it is important that you know who you can call to help ensure that your family’s safety always comes first. When the trees on your property have been affected by a recent storm, it is our goal to get to you as quickly as possible to assess and take care of any damage. Backed by many years of experience, we take pride in our level of honest, quality work, ensuring that we not only get rid of the branches on the ground, but we inspect all your trees for signs of future problems. For safety reasons, damage assessment should not begin until daylight or when an official all-clear signal has been issued. Do not attempt to assess or take care of any damage in the dark. For help cleaning up the mess, a recent storm has left behind, get in touch with one of our team members today. In the case of an emergency, such as a tree falling on a roof, get to a safe area immediately and contact our 24-hour emergency service right away. We will work according to the damage that has been caused by the weather or storm, and in doing so we will provide you with the best fitting service around. 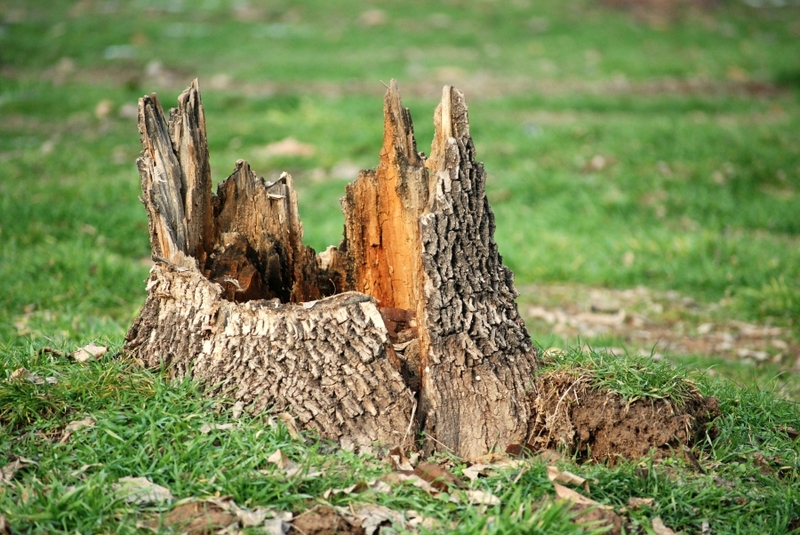 From stump and tree removal to tree cutting services, we do everything that we can to provide you with a quality yard and the best quality of services in the area. The state of Illinois is no stranger to heavy rains and floods, and the aftermath of these events can leave homeowners in a state of despair. Moving and standing water can cause serious damage to not only your home’s foundation, but also the landscape and vegetation around it. This is why it’s so important to call an experienced landscaping company, like J&S Tree Service, after one of these natural disasters has occurred. If you delay the flood cleanup process and leave residual water in your yard for an extended period of time, there’s a good chance your trees, shrubs, and grasses will not survive. If the soil in your yard is waterlogged, your landscape will soon start to show signs of stress. This is mostly because when soils are flooded, they have an insufficient amount of oxygen. This is not ideal for your landscape, as it means that plant roots are unable to release excess carbon dioxide, which they must do in order to survive. Do your best to avoid walking on waterlogged soil. This can compact the soil, causing even more damage to your landscape. If any of your plants have been submerged under water, carefully clean them off with a hose to remove any sludge or residue. Just as the Midwest is no stranger to heavy rainfalls and flooding, it is also a hub for wind and ice storms. Violent storms can wreak havoc on your home and landscape, causing branches to rip off trees, gardens to overturn, and root systems to blow over or break off. Before you attempt to treat the damage yourself, we highly recommend hiring a tree care professional. They’ll be able to thoroughly inspect your landscape and recommend the best course of action. When you need emergency landscape restoration services, you can trust J&S Tree Service to provide you with professional, prompt, and friendly service. As a leading provider of Chicagoland commercial and residential tree removal services, our team is bonded, licensed, and fully insured, so you can feel confident choosing us for your tree needs. Whether your home or business has been the victim of a flood, ice storm, snow storm, or wind storm, we’re here to help get your landscape back in order. Contact our professional arborists to learn more.